“Spook” being both a racial slur and slang for CIA agent, Ivan Dixon’s filmization of Sam Greenelee’s 1969 novel is one of the most astonishing Hollywood films of the Nixon era. Not merely subversive but a genuinely revolutionary call to arms, it’s not exactly polished but it is passionate. Original distributor UA pulled it from circulation for years. With a wide range of credits to his name including directing, producing, acting and writing, Bill Duke made an auspicious directorial debut with The Killing Floor. 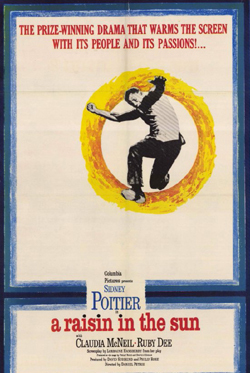 He followed with A Rage in Harlem, based on Chester Himes’ celebrated novel. He went on to direct the action drama Deep Cover, the romantic comedy The Cemetery Club, the hit sequel Sister Act 2: Back in the Habit and numerous other films and television projects.. Mr. Duke received a Cable ACE Award for his direction of American Dream: The Boy Who Painted Christ Black and directed two teleplays for PBS, which received an NAACP Image Award nomination: The Meeting and A Raisin in the Sun, which also earned Duke an Emmy nomination. His acting roles include American Gigolo, Predator, and Commando.